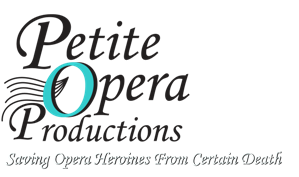 Petite Opera Productions, a 501c3 non-profit professional company, will hold auditions for classically-trained adults and children (ages 8-18) on March 10, 15 and 22, 2015 in Park Ridge, Illinois (a Chicago northwestern suburb). Auditions will be held by appointment only. Casting preference is given to Chicago-area* local adults and children. The Fall 2015 production is The Magic Flute by W. A. Mozart. This is an updated production, and will be performed in English. Projected performance dates are November 6-8, 13-15, 20-22, 2015. Seeking adults and children (ages 8-18) to play leading and featured roles, or perform as members of the chorus. Candidates should have strong/trained voices that can perform acoustically in a classic style (no microphones will be used), good stage presence, character creation and movement, and ability to learn music quickly. (Children who read music are preferred). See our audition posting for more details. Deadline for audition requests is Friday, March 6, 2015 at 11:00 PM Central time. Petite Opera performs The Magic Flute November 6-22, 2015 at Mary Wilson House Beyer Auditorium, part of St. Mary's Episcopal Church campus, 306 S Prospect Ave at Crescent Ave (enter on Crescent Ave), Park Ridge, IL.